How do I choose dividers and partitions? 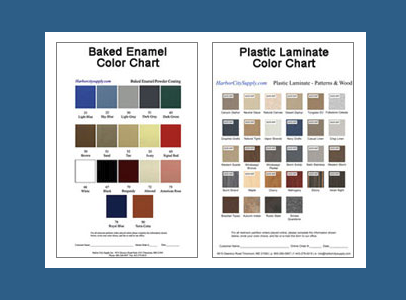 Color Charts For Bathroom Partitions. Partition Materials, Four Key Factors. Which Partition Style Is Best For Me? 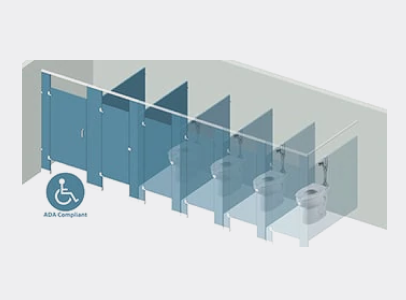 Bathroom dividers and toilet partitions from industry leading manufacturers, such as Accutec, All American Metal, AMPCO, ASI Global, Metpar, Mills, Scranton-Comtec and others. Harbor City Supply will design a partition configuration that fits your unique space in the best material for your situation and budget. Choose from standard, ADA, or custom-sized compartments. 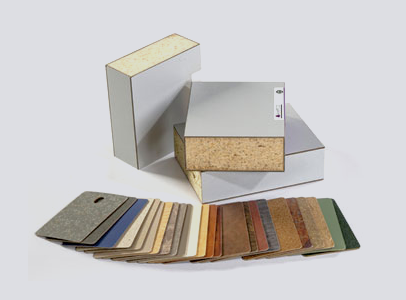 We can supply materials for new construction, remodeling, or retrofit projects. Our dividers are not limited to toilet stalls. Shop our selection of shower, dressing, and combo (shower/dressing) compartments - as well as our range of urinal screens and modesty panels. Solid vanity tops, in coordinating materials and finishes, are also offered. Match your stalls and vanity to give your project an eye-catching look! Are you in need of replacement parts for existing partitions? We sell replacement panels, doors, pilasters, headrail, and partition hardware. Fix damaged or failing pieces to improve the function and appearance of your current stalls.